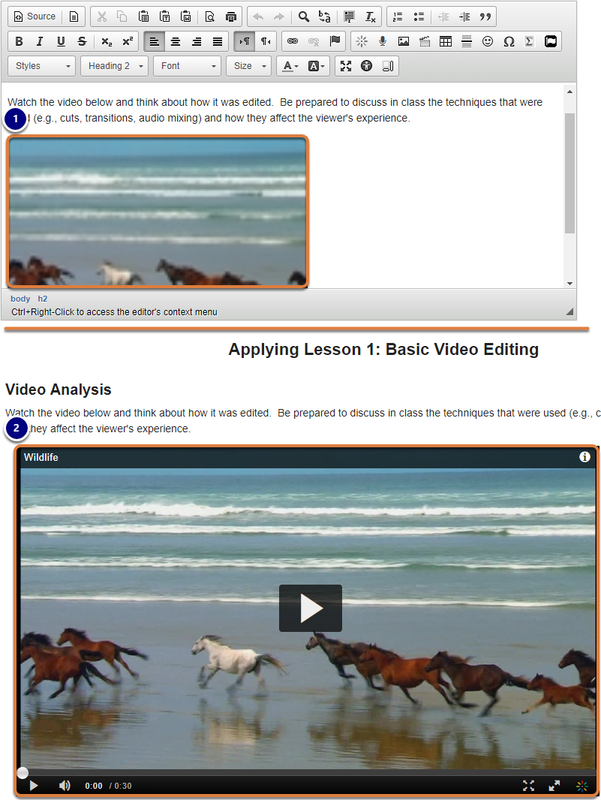 UVACollab HelpUVACollab DocumentationFor Students Media GalleryHow do I embed a Media Gallery file in the Rich-Text Editor? You can embed a Media Gallery file in a text box using the Rich-Text Editor. For more information on how to use the Media Gallery to add video, audio, or image files to your site, see the vendor's Kaltura User Guide (PDF). For information on making videos and audio files accessible, see How can I make videos and audio files more accessible? In the editor, position your cursor where you want to embed the media. A window will pop up displaying your media. Select an item to add it to the editor. Note: If you do not have the media already uploaded, you can use the Add New link to upload an item. 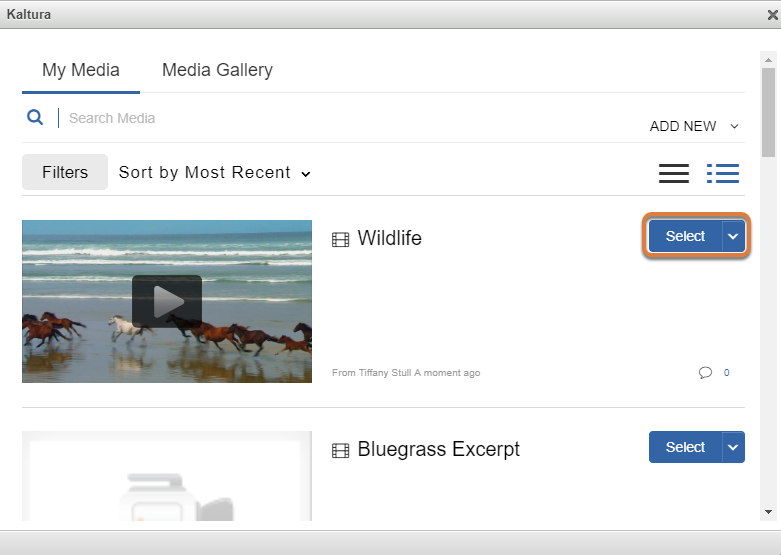 When the item you are creating in the editor is posted, the media will be available to view or play. Prev: How do I submit anonymous feedback to my instructor? Next: How do I submit a Personal Capture video or audio file to an assignment or assessment?